I believe I just baked Will's new favorite bread! What's not to love about the delicate texture of potato bread? It's moist, and flavorful . . . But what if you added the heady flavor of Swiss cheese, nutty cracked wheat, roasted garlic, creamy Greek yogurt and freshly ground pepper? 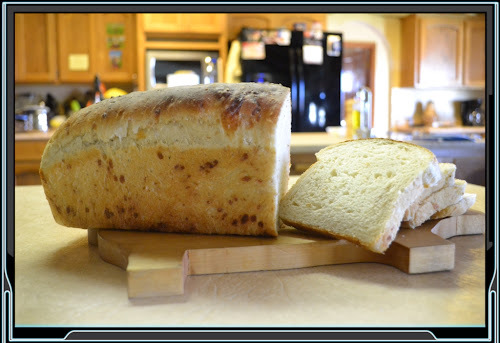 Well, you've just created the quintessential bread that can hold it's own as a tasty snack, with soups, stews, sandwiches . . . And don't get me started on how great it tastes toasted with butter! Will said, Wow, you'll be making this again!" In fact, this bread has come up in conversation all week long as Will has carefully rationed his beloved Potato Bread Daphinois! He especially loves this bread for his fried egg sandwiches ~ 2 farm fresh eggs (yolks gently broken), salt and pepper, Tabasco Brand - chipotle sauce (applied liberally), shredded cheese (melted over the fried eggs), on two lightly toasted slices of homemade bread (heavily buttered). 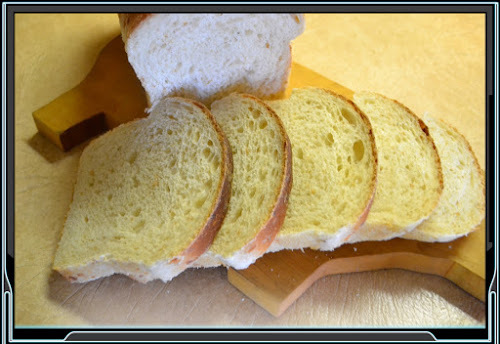 If you're a cheese lover, like me, you'll fall in love with this bread! This recipe comes from a wonderful little cookbook called: THE BEST BREAD MACHINE COOKBOOK EVER. 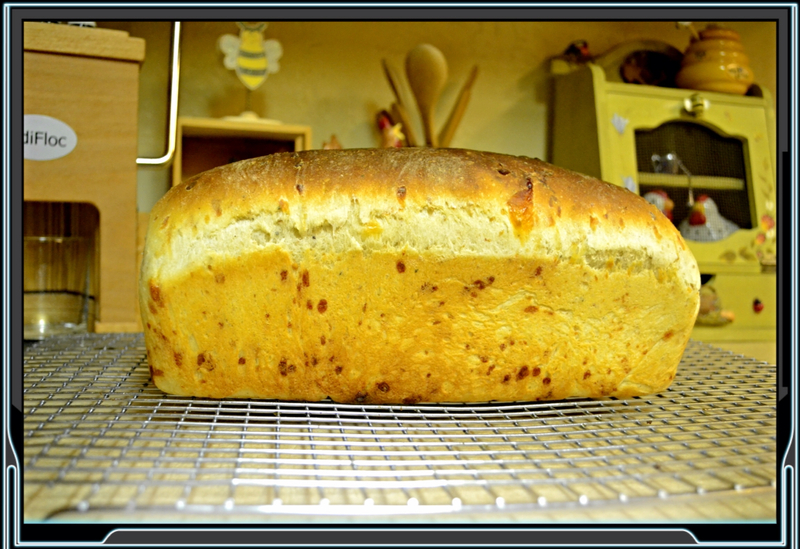 Add all ingredients to the bread pan, except the Swiss cheese in the order suggested by your bread machine manual. Process on DOUGH Cycle. Add Swiss cheese when the beeper goes off. My bread machine doesn't have a beeper that goes off (except at the end of the cycle) to tell me when to add the cheese so, I looked up in my manual to see how long the kneading process took, set a timer for 5 minutes before the kneading was over (25 minutes) and added my Swiss cheese then. At the end of the DOUGH Cycle, gently deflate dough. Place shaped loaf in a well greased bread pan. Cover bread dough with well greased plastic wrap; allow to rise in a warm place until doubled. Preheat oven to 350F. Bake for 25 minutes. 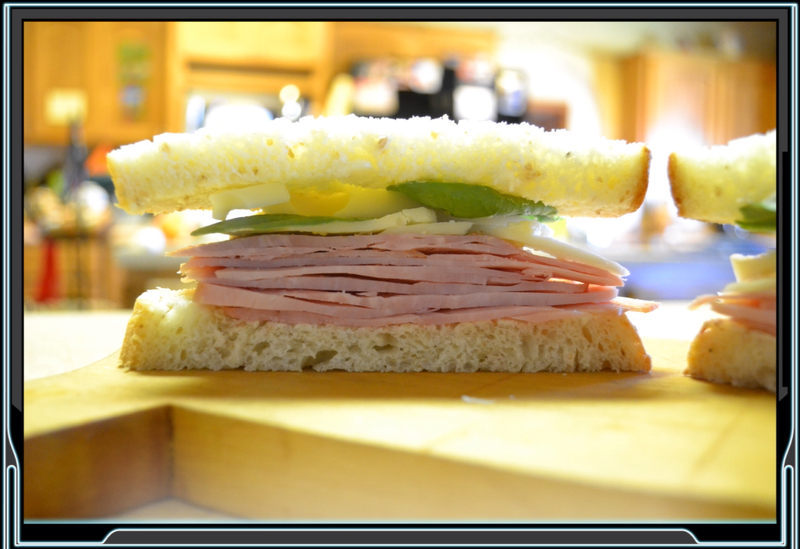 I've eaten it toasted, with my beef stew, and made into a ham & Swiss . . . Potato Bread Dauphinois is quite a find in my bread making repitoire . . . Over at Julie's!! !